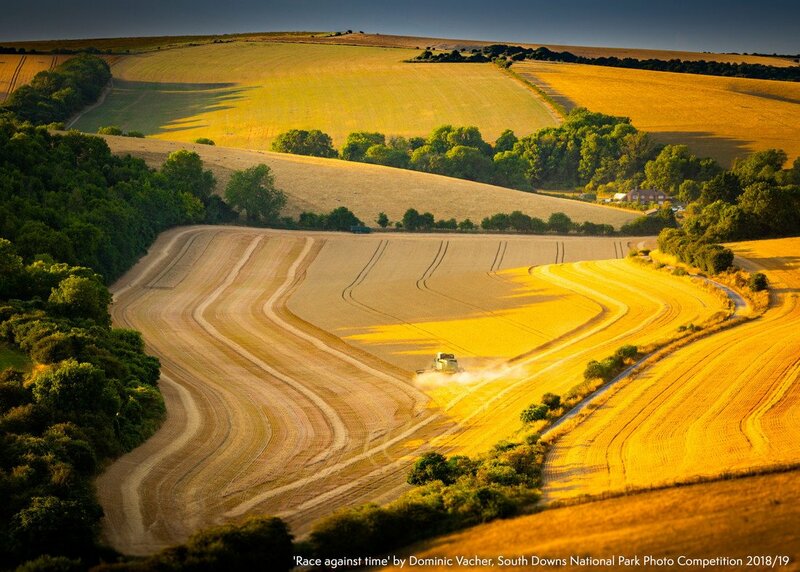 Following some fierce and stunning competition, judges for the South Downs National Park photo competition have selected a range of winning and highly commended images. Now voting has opened for the people’s choice vote, which will earn one photographer the first prize of £100. 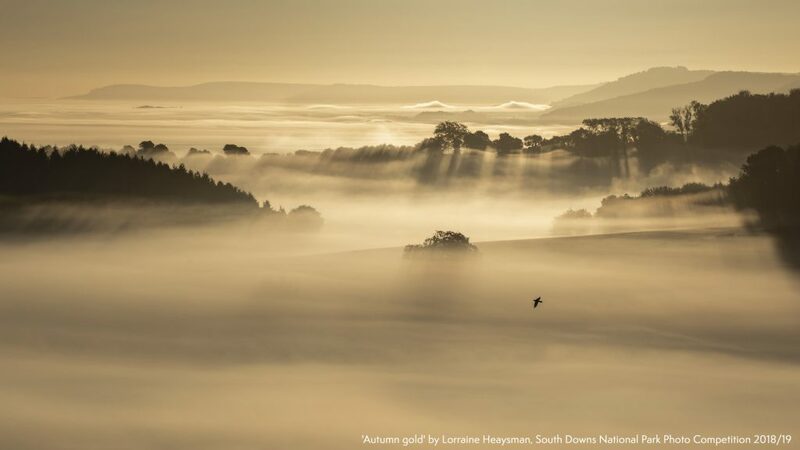 Early morning light casts shadows across an ethereal autumn mist, witnessed only by rolling hills and one small bird in Lorraine Heaysman’s winning image in the South Downs National Park photo competition 2018-19. “Mornings have always been my favourite time of the day and I spend so much time searching for these conditions,” she said. “Mist can be fickle! 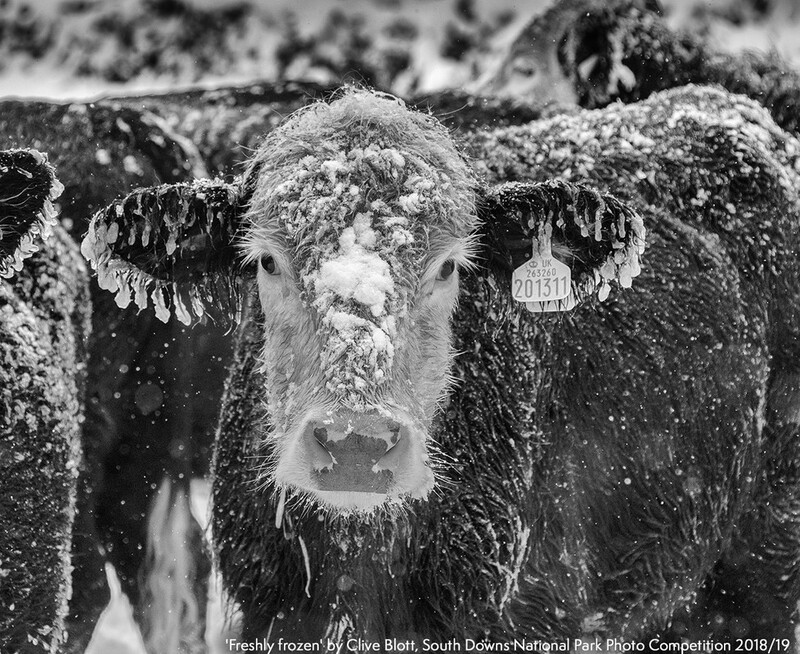 I am bowled over that the judges liked my image enough for it to win. Moments like these on a hill top are filled with beauty, peace and tranquillity and my heart skips a beat whenever I walk along the downs and see scenes like this.” Lorraine, from Worthing in West Sussex, wins £250 for her picture ‘Autumn Gold’ which was captured in the hills above Upwaltham. The three commended images are ‘Amongst The Beech Trees’ by Jonathan Peacock from Pulborough, West Sussex; ‘Winter On Butser’ by Ron De’Ath from Rowlands Castle, Hampshire, and ‘Coastguard Cottages At Sunrise’ by Zoltan Kecskes from Eastbourne, East Sussex. The three winning images and three highly commended images, in the South Downs National Park photo competition, now all go forward for the people’s choice vote with a prize of £100.